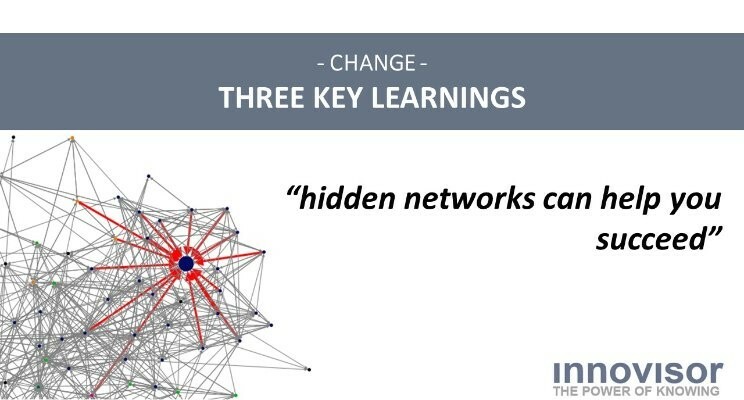 This post describes how insights into hidden organizational networks can help you succeed with organizational change! Succeeding with change initiatives by engaging hidden influencers within organizations has received quite some attention lately e.g. by McKinsey and Bersin by Deloitte. Innovisor has worked with this field in +35 countries since its establishment almost ten years ago. I would like to share three key learnings spiced with a few case examples. A common mistake is when leaders think they know everything about the organization they want to change. Even when they are aware that they do not know it all, they still rely entirely on input from reference groups whose members have been aggregated by leadership and/or loud individuals. Especially from those sitting in corporate headquarters. In one case Innovisor worked with an Insurance company undertaking a major cross-organizational process change initiative. The leadership had conducted workshops with the reference groups, interviewed their subject matter experts, and established the business case to be confirmed. At this point some leadership team members questioned to what extent the business case reflected real organizational facts versus a biased stakeholder belief. Clearly facts were required to align and engage the leadership team behind the change. 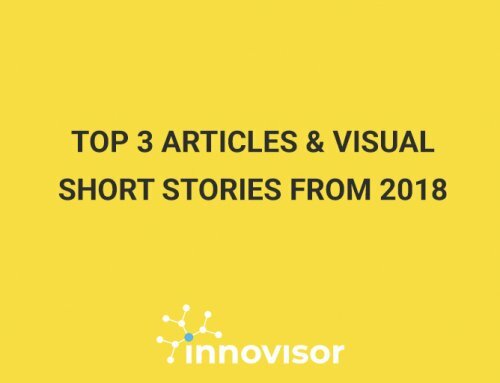 Innovisor diagnostics hereafter demonstrated that the subject matter experts were not the go-to persons in the organization and that the real process specialists had not been listened to during the business case work. Moreover it was shown that the key influencers were totally unknown to leadership. So how do you find the key influencers? – Well, they cannot be found in the formal organizational chart. Their influence is determined by multiple other factors, and hierarchical position is not one of them. Perceived competence is important, but being a genuinely sympathetic person is more important. Factors such as location, gender, and age play a role, but invisible factors such as shared interests and values are more significant. Who amongst your employees have the highest influence? 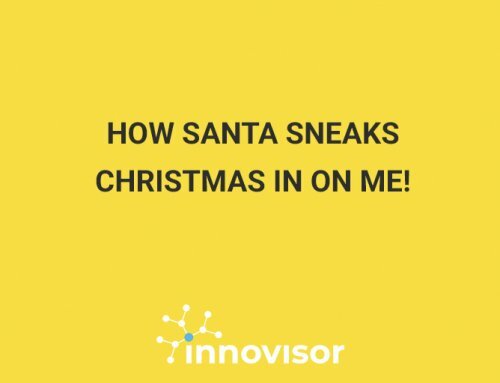 In Innovisor we work with peer-based identification of influencers. We always do a quiz with the leadership team, when we have identified the key influencers in their organizations. We ask: “Who amongst your employees have the highest influence on their peers”. We have been doing this for almost eight years now, and to this date Leadership teams have never been able to name the employees with the highest influence! This is despite the fact that the key influencers always have up to ten times as much influence as the average employee. Not knowing the key influencers means risking not engaging them. If you do not engage them you risk not getting their support. Without their support your change will not succeed. Period. When you have found the key influencers you can enter into a dialogue with them which allows you to understand the tribes they have influence on. Ultimately enabling you to change the way your change initiative is rolled out, so you increase your chances of success. The key influencers can act as your listening post, when your change initiative is sidetracking. Knowing their tribes enable you to make a targeted effort to get your initiative back on track. Why waste time and resources on a mass-focused win-back initiatives, when you can target your energy? In one Innovisor case a major bank was enabled to make a last-minute save of an almost failed implementation of a Shared Service function. The leaders were enabled to interact with the hidden organization (in form of tribes) and hereby learn the true story of a failed implementation that they could not hear from middle management. A targeted win-back to specific parts of the organization was initiated. 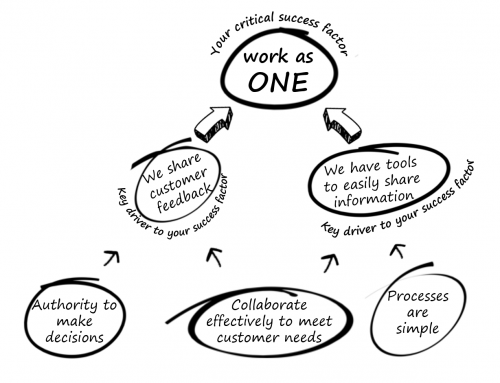 The result – one year later the business case for the Shared Service function had been realized. Do you want Failure or Success? If you do not accept your blindness you will never identify the key influencers. If you do not identify the key influencers, you can only rely on formal communication channels to convince the organization to change its behavior. Reversely if you have the support of the key influencer, persons the organization trust, they can assist their tribe in making sense of the change objectives, and they will be much more likely to change.